We provide a complete bronze and brass casting service using the lost wax process, from mould making through to finishing, specialising in artworks, sculptures, and architectural hardware. Dating back more than 6,000 years lost wax casting (also known as investment casting) allows intricate detail to be captured from even the most complex of pieces. Over the the past 90 years Lunts has pioneered the use of lost wax casting in combination with piece-moulding and has developed numerous in-house processes to combine generations old craftsmanship with new techniques. 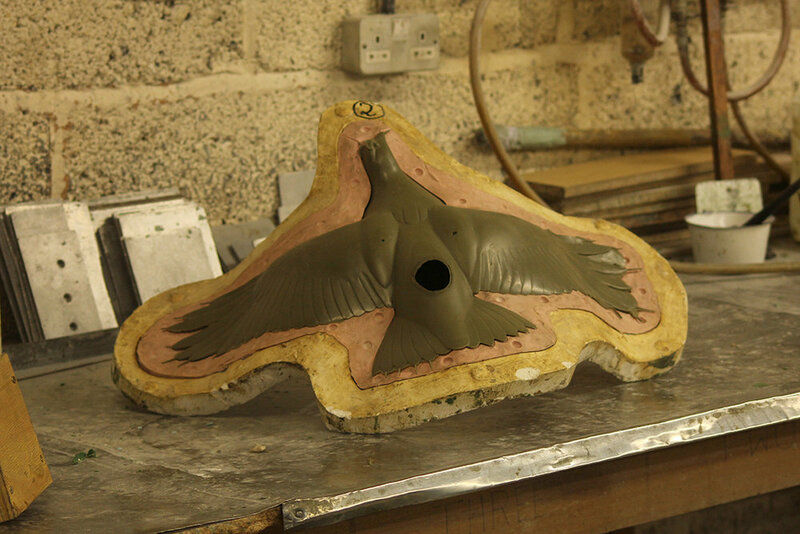 For new work a mould is made of the original piece using a high strength rubber which is recorded and added to our archive for future castings. 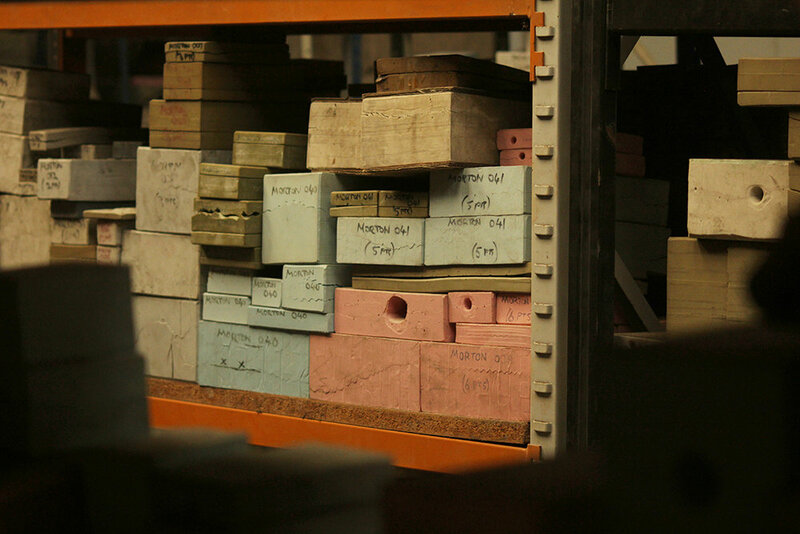 Many of our customers have been coming to us for years, or even decades, and our devotion to our mould archive allows us to produce new editions of old work. Our in house mould-making team designs each mould individually to best suit the piece as every one has unique requirements. The placement of air gates, metal feeds and overhangs will determine the quality of the casting and so our dedication to the work starts from the very beginning. The mould is then used to make wax replicas of the original piece, these are ‘sprued’ - attached to a wax structure that will form the channels for the molten metal to run into the piece. The arrangement of waxes on the sprue must be meticulously done to ensure the highest quality casting. The completed sprues then have a fine lime plaster jacket cast around them, this material is called investment powder, which captures every detail of the wax. To melt the wax from the investment powder the mould is steamed or baked, leaving behind space for the molten metal. 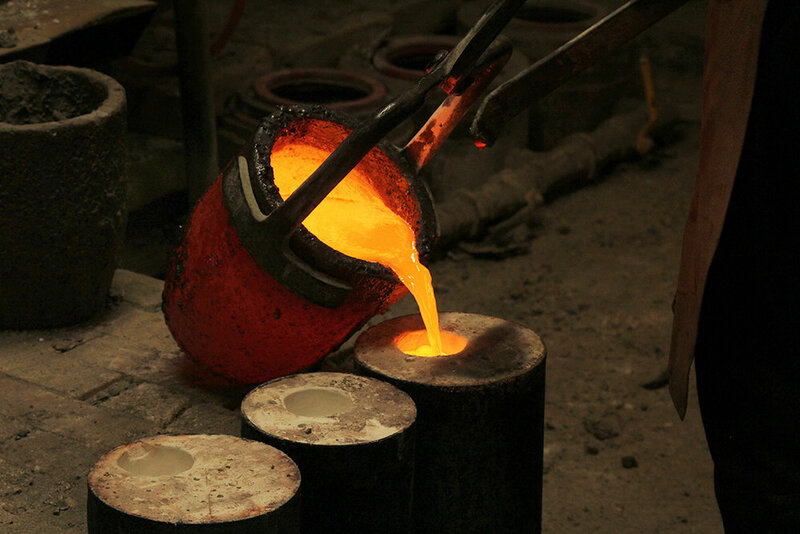 In bronze casting the metal is heated to 1200°C in a furnace, the exact temperature is extremely important as the flow of the molten metal will determine the quality of the cast. Both too high and too low temperatures will cause issues, and the molten metal is adjusted towards the correct level using small bronze offcuts. Our casting team has decades of experience and although we use modern pyrometers they are able to tell the temperature of the metals just by looking at the colour of their glow. Once the cast piece is ‘knocked out’ from the mould it is cut from the sprue and cleaned, this removes any left over pieces of the sprue ahead of the finishing and patination. We are committed to reducing our ecological impact and so we recycle every sprue and offcut for future castings. Once all the parts of a sculpture are tidied up the pieces are welded together before the entire piece is sand blasted to provide a consistent surface for polishing, patination, and lacquering. There are a huge number of possible finishes for bronze and we work closely with our clients, artists, and designers so that they can make the most of all our possible finishes. Patination is a speciality of G.W. Lunt & Son, and we take pride in the varied and complex work we have produced over the past 90 years, ranging from traditional bronze finishes to bright contemporary colours. With modern patinas we can achieve any colour in a wide variety of textures and patterns, including solid opaque colours, marbled effects, stippling, translucent washes, and many more. The patinated piece is then sealed with a choice of hot wax, cold wax, or lacquer to ensure a beautiful and long-lasting finish. Some clients choose to leave their bronzes unsealed and allow the metal to develop its own natural patina.